Get Jet fuel or Aviation fuel at Jaipur Airport (VIJP/JAI), India at the most competitive price. Send a query. I.G.I. Airport New Delhi: 260 Kms. Jodhpur Aiport : 340 Kms. 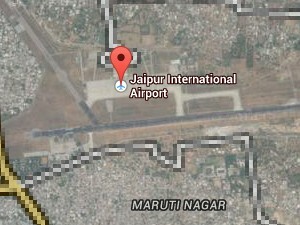 Maharana Pratap Airport Udaipur: 420 Kms. Jaisalmer Airport : 645 Kms. Aviation Services India through its tieups with certified oil companies and providers makes available Jet Fuel (ATF) at Jaipur Airport (VIJP/JAI), India to all Private Jets, International and Domestic airlines. Contact us for best Jet Fuel Price and Aviation Fuel (ATF) Price, at Jaipur Airport (VIJP/JAI), India. Buy Jet Fuel, Aviation Fuel, ATF at Jaipur Airport (VIJP/JAI), India. Send a query.